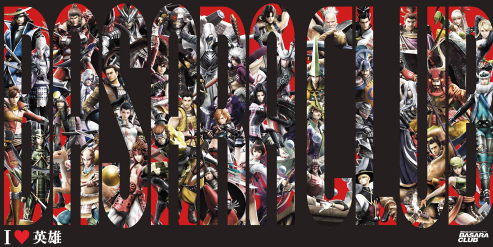 The unofficial Sengoku Basara international fan survey has been going really well so far: we're at around 300 responses from many countries all around the world! That's about a hundred times more people than I first thought were going to participate, and what makes it even better is that everyone is putting a lot of thought into their answers. There are so many detailed responses that it's going to take a long time sorting everything out into a worthy report. I want to thank those who have been helping spread the word, and also those people who persevered and completed the survey in English even though they said that it was a challenge to write answers in this language. The Sengoku Basara fan community is full of determined people. I'll leave the survey open a little longer to see how many more people it can attract, but I'm thinking of closing it on Friday (4th April 2014) so that I can organise the data over the weekend. If you haven't completed the survey yet, it would be wonderful if you could join in and share your thoughts. Every vote counts! In the meantime, what's been going on in Japan recently? One of the reasons that there hasn't been much news lately is that the staff have been busy running a bunch of 'fan meetings' in Japan with the cast of the series and small groups of fan club members. Obviously I can't attend these meetings myself, and there isn't much news to report from the handful of people who have reported their experiences on Twitter and their blogs. The final event will be held on Saturday next week (5th April 2014). Even though there's not much to say about the actual events from afar, there are a few exclusive pieces of merchandise that the lucky fans with tickets have been able to buy at the venues. An enamel bag (¥3,000) measuring 30cm x 36cm. An 'I ♡ Heroes' t-shirt (¥3,500) available in S, M and L sizes. 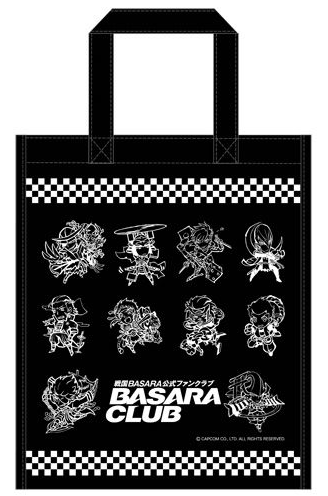 A Basara Club blanket-towel (¥4,000) measuring 100cm x 50cm. As well as the fan meetings, the staff in Japan have been promoting the upcoming stage play quite heavily over the last few days. It's just a few weeks now until the Butai Sengoku Basara 3: Togakuruwashi Kizuna show will commence on 25th April. Between this and Sengoku Basara; Judge End, it really feels as though Sengoku Basara 3 is having a revival recently! One of the big announcements has been that there will be some short talk shows after five of the performances where the actors will come on stage and fool around out of character. They've also clarified which shows will feature actor Yoshioka Yuu in the role of Yukimura and which will have newcomer Matsumura Ryuunosuke. Matsumura isn't being used very much - I hope we'll at least get to see a little footage from his performances on the DVD one day. There will also be a traditional 'live viewing' for the final day of the show, where fans across Japan can visit selected cinemas to watch a special broadcast of the play for ¥3,600. Fan club members can apply for tickets from today; everyone else will have to wait a little longer. Satta Naoto's Sengoku Basara ~Soul revolution~ manga is to be released as a compiled manga volume on 27th May 2014 under ASCII Media Works' Dengeki Comics Next label. Now fans who missed out on Sengoku Basara Magazine will be able to read this short series without paying a small fortune for the back issues. There will also be a 132-page Sengoku Basara 4 Dengeki Comic Anthology published on 25th April 2014 in the Dengeki Comics EX line. Contributors listed so far include Ashika Nozomu, Satsuki Yuu and Ayamura Kirihito. This will be the first Sengoku Basara 4 manga published outside of magazine serialisations so it should present some interesting interpretations of the new characters.